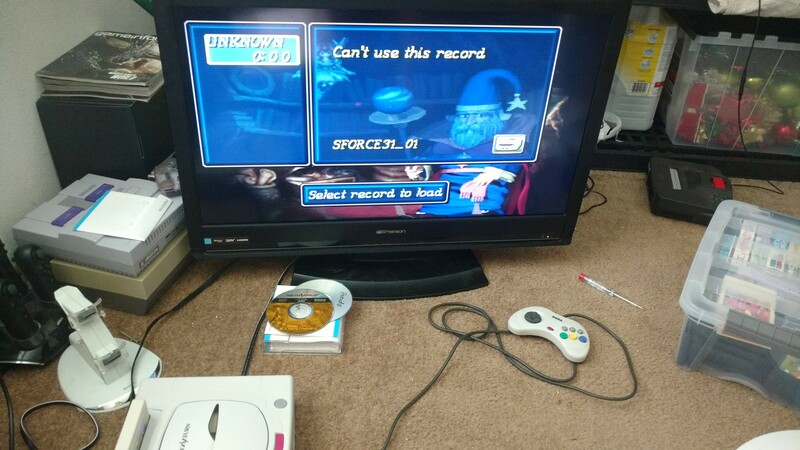 I have a JP Saturn, and have been trying to get a burned copy of the Scen 1 translation to run - the patched bin/cue runs fine in both SSF and Mednafen, and the JP discs run fine on my system, and I've also burned Dreamcast games that read fine. i've also tried burning it a second time in case it was just a bad disc or something. Could this be a possible problem with the region code? i've noticed the patch enables all regions, i'm not sure if that could be causing problems on hardware. I have not tried burning other games to see if it's the discs that are the problem. The saturn either needs to have a modchip or you need to do the swap trick. The patch makes the game region free so that’s not an issue and all versions of the patch (as well as game saves) are interchangeable. You can also use a pseudo Saturn cart. You should always use the latest patch. Patch version doesn't affect saves. All patch versions are compatible with all saves. It's the copy protection that is holding you back. looks like i'll have to work some more on transferring my save over.. thanks guys!